So today I have a new split for you all to check out. An ambient post rock record featuring two stellar groups Labrinto and thisquietarmy the groups are wholly unique yet their sounds work together to create a flowing and beautiful record. A beautiful way to kick off your day the aural caresses of these two bands come together and reach into the listeners soul. There is a lot to get lost in with this record the elegant ebbs and eddies of the music create vast soundscapes that cause the soul to forget where it is and fully immerse itself in the music. The main difference between the two groups is that Labrinto is a bit more guitar focused than thisquietarmy. Yet note, even if Labrinto is not afraid to use heavy guitars they still very much fit in the context of an ambient record. Meanwhile thisquietarmy craft huge wide open soundscapes that carry the listener away on their majestic and elegant wings. Yet when the album I listen too as a whole one really gets the artistic message of the groups. Their music intertwines to create a magnificent record that sticks with the listener long after listening. 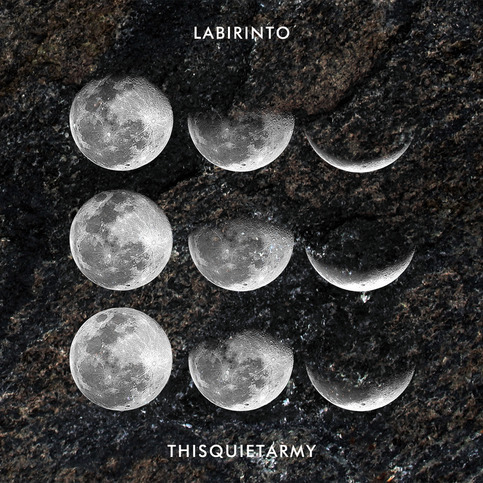 In conclusion, if you're looking for something truly beautiful, a record that understands the magic of ambient and post music then the Labrinto/thisquietarmy split is something you are going to want to check out. At times even reminiscent of bands like Alcest or Agalloch even my most metal readers will probably dig this record. Beautiful and easy to fall in love with this is quite possibly my favorite split of the year and definitely one of the best post music albums to have come out in a long time. With more great stuff in the works the future seems bright for both of these bands, soon they may be able to take on a global stage!